Very good, and though I am no supporter of communism of any kind, it is also true. US feminism is about creating a specific ideology for women to compensate for discrimination and perceived discrimination. totalitarian ideology that denies free speech and freedom of thought. political baggage resulting from an "us vs them" ideology and PC crap. nothing in common with the true left. That is the left that fights for workers rights, real equality and free education. of nincompoops will undo a lot of progress. 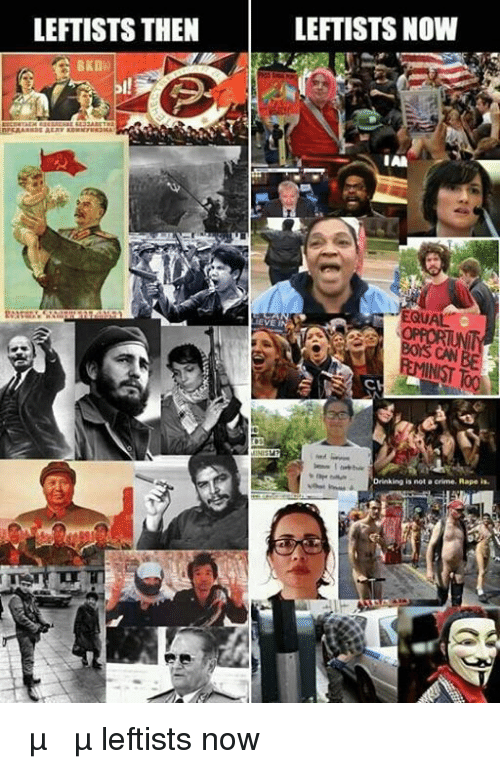 What I really think is ironic is that the poster in the first post almost idolises the conservative nature of Soviet Communists while trying to piss all over the views of the current outsiders who don't march to the drum of the main stream media. Or is it really a depiction comparing Soviet commies with American ones... Soviet commies being normal, while American ones being unattractive deviants. 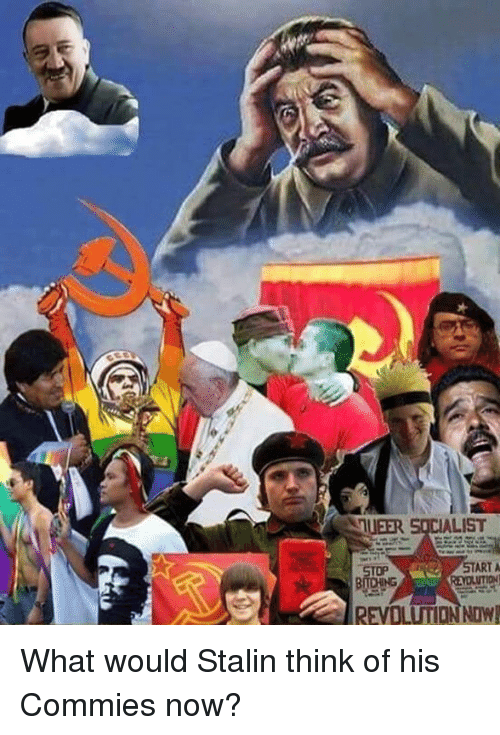 The real amusing thing is that the modern west is rather more supportive of gays than any commie ever was.... is this an attempt to push back the progress of the west to promote equal rights for every deviant minority... I am sure child molesters will be getting protections and rights soon... they can't help it if mother nature made them that way right? Western society looks more and more dystopian for conservatives like me. 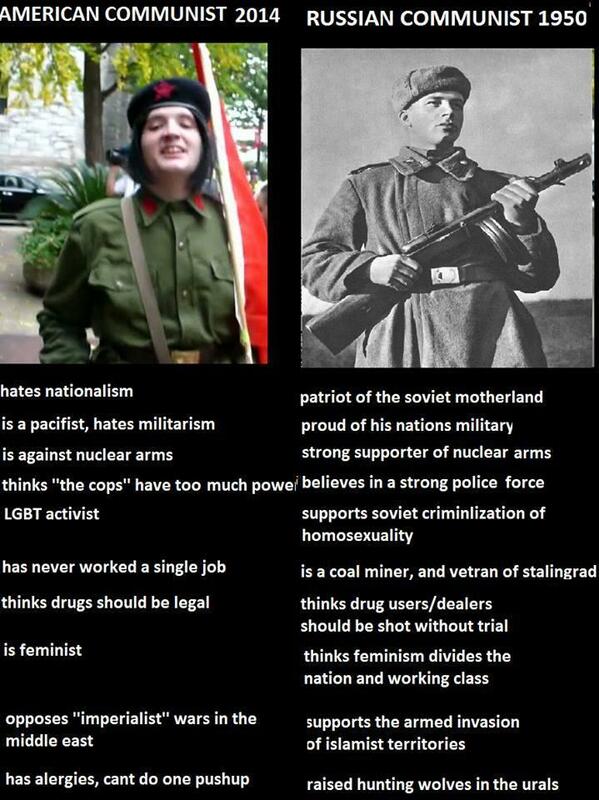 Just to be clear- no, Soviet women were not artificially made equal to men as west tries to do. Soviets were pragmatical and everything didn't try to shove women into places just to get diversity quatta. The fact is - women are not equal to men, by they have their advantages and disadvantages compared to men. Gender roles were and still are traditional in Russia and post soviet sphere. Also, homosexualism was shunned and criminalised, but they are type of people you have to keep them in check. Regardless the West as it stands now is morally bankrupt, the nuclear family (i.e what many call the "fundamental unit of human society") is being hammered on all sides, and it seems to me a lot of the youth are more concerned about what bathroom they should be using and what "gender" they are than worrying about anything actually important. Some of the youth are backlashing against all this stuff (myself included) but im not sure it will be enough to turn the tide (I hope I am wrong). As if all of this "identity politics" crap wasn't enough those pushing a lot of it have made a "deal with the devil" as it were and support this mass islamic migration into Europe, probably in an attempt to further undermine their perceived enemies (the conservative white western guy). on their hands. But at the same time, they are showing bizarre fetishes for Sodom and Gomorrah type degeneracy. destroy both the genetics and the culture of the states they occupy. the nuclear family (i.e what many call the "fundamental unit of human society") is being hammered on all sides, and it seems to me a lot of the youth are more concerned about what bathroom they should be using and what "gender" they are than worrying about anything actually important. What exactly is wrong with nuclear family? This is the social model that forms naturally as the society moves from subsistence agriculture into industrial and postindustrial stage. Hi Walther, I think you misunderstood what I meant. I agree with you about the nuclear family. What I meant was that the way that things are in the west the nuclear family is basically being dismantled. The second part of my statement refers to all of this "transgender" and "gender fluidity" crap that seems to be taking root in the West.